Researchers at the National Graphene Institute (NGI) have created a method to produce scalable graphene-based yarn. Such e-textiles may have great potential for sportswear, healthcare, aerospace, and fitness applications, and so are attracting research attention worldwide. 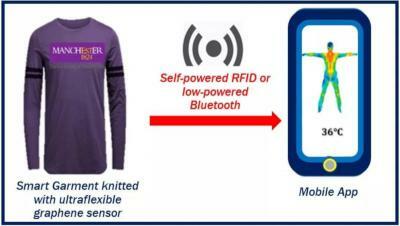 Integrating textile-based sensors into garments in the manufacturing process is still time-consuming and complex. 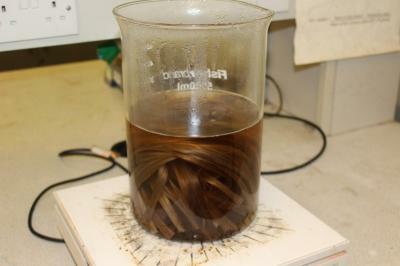 It is also expensive non-biodegradable, unstable, metallic conductive materials are still being used. Now, the NGI researchers have developed a process that has the potential to produce tonnes of conductive graphene-based yarn. It is possible to do this using current textile machinery without any addition to production costs. The produces graphene-based yarn is also said to be flexible, cheap, biodegradable, and washable. 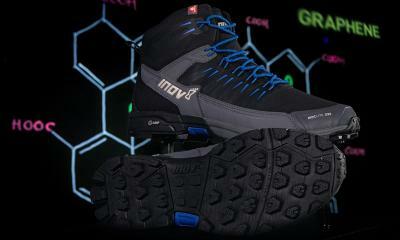 The collaboration between the University of Manchester and British sportswear brand Inov-8, which started in 2017 and has already produced the G-Series range of graphene-enhanced shoes, has now also resulted in a pair of hiking boots which utilize graphene. Building on the above-mentioned use of graphene in trail running and fitness shoes last summer, Inov-8 is now bringing the technology to a market it considers to have been "starved of innovation". Two ROCLITE boots with graphene-enhanced rubber grip have been produced – the ROCLITE 335 and the ROCLITE 345 GTX. The former offers increased warmth on cold days, while the latter has waterproof GORE-TEX protection for hiking adventures in wet conditions. The Graphene Innovation center, a £60 million world-class center dedicated to researching graphene and its applications has been opened in Manchester. The Graphene Engineering Innovation Center (GEIC) at the University of Manchester will accelerate the commercial impact of graphene and help realize its potential to revolutionize many sectors. Scientists from The University of Manchester have combined graphene with the natural fiber jute, to create graphene-strengthened natural jute fiber composites. The team explains that this could lead to the manufacturing of high-performance and environmentally friendly natural fiber composites that could replace their synthetic counterparts in major manufacturing areas, like the automotive industry, ship building, durable wind turbine blades and more. It could also boost the farming economies of countries such as Bangladesh, India, and China – where the jute material is mainly produced – the researchers from The University of Manchester claim. Jute is extracted from the bark of the white jute plant (Corchorus capsularis) and is a 100% bio-degradable, recyclable and environmentally friendly natural fiber. It is also the second most produced natural fiber in the world – after cotton – and is at least 50% cheaper than flax and other similar natural fibers.